Tears ran down my cheeks as I watched the closing credits scroll down my computer screen. 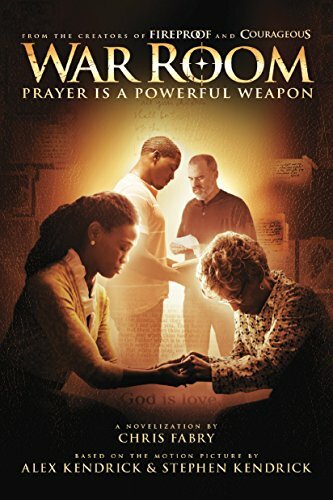 I had laughed and cried…..and cried the ugly cry…..as I watched Priscilla Shirer transform from a mediocre Christian wife in a dysfunctional marriage to a prayer warrior staking her claim, holding the line, and demanding victory. The next morning I got up, quietly padded into our living room, turned on the heat, and glanced around. Where could I put my war room? We live in a 750 square foot home and every room in this house is a high traffic area. Even our bedroom isn’t private, since you have to walk through it to get to the boys’ room. We don’t have closets, either. We have wardrobes. Amoires – if you want to get fancy with it. I suppose you could try to climb in it. It would be uncomfortable, if it didn’t fall apart first. So, where could I put my war room? What is the purpose for a war room? First of all, I had to ask myself: Is it the war room that is significant, or what it represents? I think the answer is obvious. 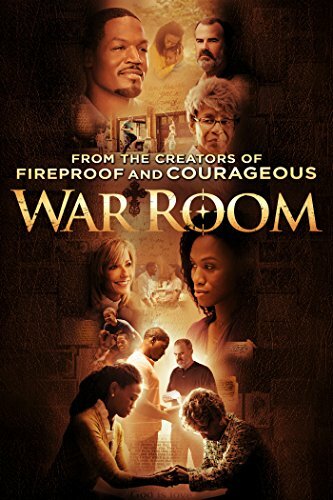 It’s what the war room represents, otherwise our war room will be no more effective than any other method we’ve tried and failed at in our effort to make our prayer life more effective. The purpose for a war room isn’t the room itself, the purpose is to have a place where we can be free from all distractions, where we can focus, and where we can get alone in that “closet” with the Lord and simply spend time with Him. For some, that may be a physical room, for others – like me – it may need to be something more creative. Once I had in mind what I wanted, decided to make my prayer journal my war room. However, I wanted to make my prayer journal something more, so I first grabbed an ordinary notebook and made myself a cover. I used packing tape to cover this, but you could use clear contact paper. Then inside I divided it up. 2. Next I write down prayers that need answers: healing for my friends, loved ones walking through hard seasons of life, etc. I date these needs so that I can track when they were answered. 3. I made an “Answered Prayers” section in the back of my journal and date the answered prayers. 5. I have a page specifically dedicated to my battles. Now here is where it gets exciting! 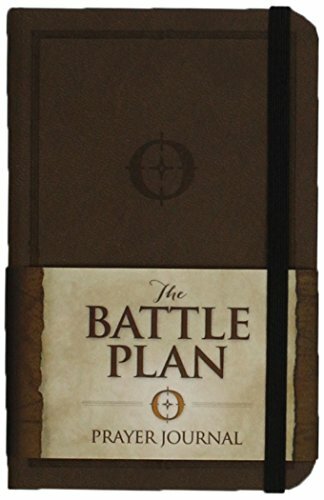 Over the next many pages I keep a journal and battle plan! I regularly write about how God is orchestrating circumstances, or what He is speaking to me, about the battles I’m facing and the strategy I am using to overcome them. I believe this is critical to my spiritual walk, because jouraling and strategizing helps me to remain intentional about moving forward and walking in a victorious mindset. So many times we get entrenched in battle and our mindset becomes bogged down in the battlefield as our focus shifts from being a victor to being a victim. We can’t afford to do this! The moment we become a victim, we’ve become a POW! But God never intended for us to be a POW! He wants us to be a victorious warrior. God is a mighty warrior and His army is countless and dressed for battle! Paul refers to this verse in Ephesians when he describes that Jesus first descended to hell after His death on the cross and then ascended on high after He completely disarmed the enemy, leading “captivity captive”. But He didn’t even stop there! After He led the enemy into captivity, he made a public spectacle of them! Imagine what that means! Picture with me what captivity would mean in medieval times: a warrior on a horse with his captives chained behind him stumbling along, stripped bare, and being paraded through the streets while people cheered, shouted, jeered and cried a victory cry because they no longer had to live in fear of the enemy! That warrior is Jesus Christ. Those captives are our enemies. We are the crowd! We have been set free. We no longer have to live in fear!! Download My Quiet Time Journal today, and take your quiet time to a new level! Do you have a war room? How have you created your war room? What verses inspire you to victory? Isn’t that wonderful? I am blessed to hear that you’re prayer life is growing! What a great idea! 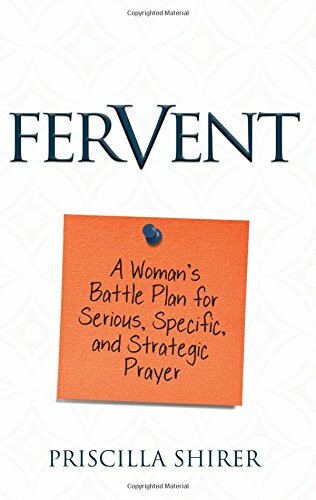 I don’t have a war room per se, but I have a prayer journal. I had never thought of that as a war room of sorts, but I see that it certainly can be. My folks have a small house, too, and I know my mother has her “war pantry” behind the shelves of canning jars. 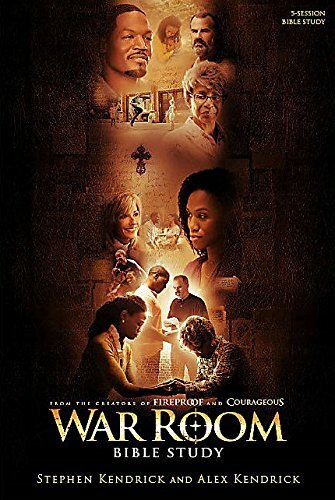 Hi Rosilind, I love this idea of a prayer journal war room. It really goes to show that even if we wanted an excuse to get serious about prayer, there really is none. I believe the answered prayer section will be so faith-building that I can’t wait to read about how God shows up for you! Visiting through Coffee & Conversation. This is an excellent post. I absolutely loved that movie and immediately went out and got myself a prayer journal after watching it. I love my journal, it keeps me focused while praying. Yours sounds awesome! I also understand living in a small space, we have definitely been there – even the no closets. I believe love grows best in little houses. Oh…what a wonderful post. i just asked God last night to help me find a war room. I believe this is His answer. Thank you for following the Spirit’s leading and sharing your thoughts. Roz I love this idea. I cried during that movie and came home and well it’s not happened. I do have a prayer notebook and journal and you’ve made me feel so good how I’m using it. Thanks. No matter WHERE we do it; no matter HOW we do it; you’ve put the spotlight on the fact that prayer is a priority for the Christian. I’m convicted of my own lackadaisical attitude toward talking to the God of the universe. Beautiful and encouraging post, Rosilind. 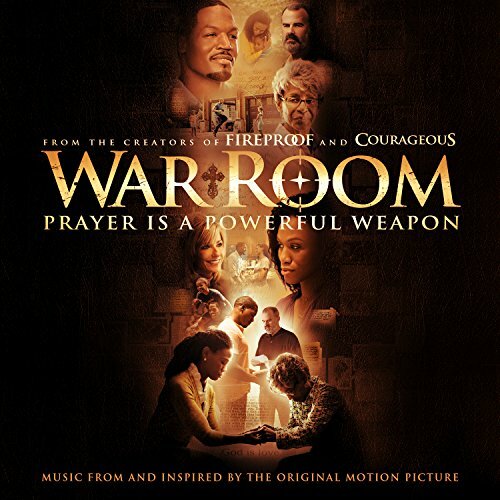 Thank you for the reminder about the power of prayer and the purpose of the war room! I, too, have started a prayer journal. No closet for a war room here either! I love your strategy ideas and I am going to start incorporating it into my journal and prayers! Thank you for the inspiration! I also do not have room for a “war room” per se, but love the idea of a war journal! The main thing is that we get serious about prayer. Hi, Roz, I’m so glad that you didn’t just throw your hands up and give up. You decided to be intentional and serious about prayer. This is a great idea for everyone even the people who have made a prayer closet. I love all things prayer journal and organization. 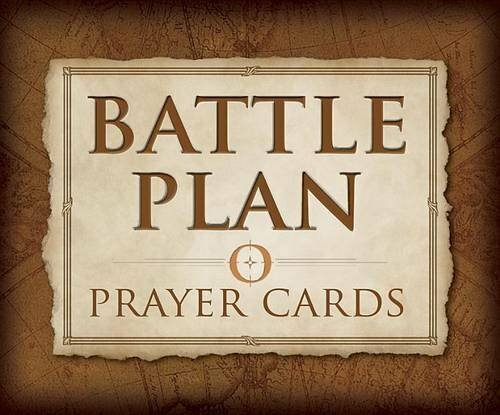 I am inspired to have a better battle plan for my prayers. Thanks for sharing. Exciting! Thanks for sharing your process and experience! awesome … I love your out of the box approach to the “room” concept! I’ve only heard great things about this movie. I must watch it this week instead of putting it off. I wouldn’t have a place to add a war room either. I love you creativity and will probably borrow your idea after I watch the movie. Thanks for sharing your creativity with us at Literacy Musing Mondays! I hope this gave you some creative ideas to get started. Did you enjoy the movie? Such a wonderful post. You have inspired me to make some changed in my routine! Thank you so much for sharing with us at Sitting Among Friends on Wednesdays. Oh, that is so encouraging to hear! How to you start a prayer journal? Are you able to post an example of a page in each or your sections for us newbies wanting to start our own. Absolutely. I’ll do that in the weeks to come. Stay tuned!! Try a large basket for your Prayer notebook.. You can then have room to include your Bible, a devotional, some notecards or cards to let others know you’re praying for them. Plus, it’s portable. You might not have a War Room but you have a prayer basket that can go with you anywhere. I love that! Such a great idea!! I am so keen to start this – but how do I create a “battle strategy”? Start with one area of your life you battle with regularly. Then, find scriptures that have to do with that area and begin studying, memorizing and meditating on them (I’ll be writing about those very topics in the weeks to come). Then begin strategizing a way to apply those verses to that area you battle with. Once you feel like you’ve conquered that area, move on to another. May God bless you as you seek to live for Him!! I live alone but have no closet .. and found too many distractions /interruptions …like people knocking on the door phone calls even tho I told my friends the time I am studying some not honoring that time so I have started studying in the late evening ..like after 10:00 pm sometimes it gets awfully late but oh well I can sleep late … it works for me tho I also have a journal for my talks with the Lord and things I want to pray about and then when I get an answer from God I put a sticker by it and date it is so awesome to see prayers answered !! God is good ..all the time!! Yes – I love to track answered prayers. In times of discouragement I go back and review them and encourage my heart in the Lord and His goodness. I would like to receive prayer challenges from you. I have been journaling for many years, way before I ever heard of prayer journaling, and my home is small also, I started out sitting on the side of my bed, 5 am every morning and spending time with God before the sounds of daily life kicked in. I now having moved to a new apartment, I have this beautiful old school kitchen table and it is there that I meet the Lord every day. I loved your post, about making a prayer binder, and it is a beautiful idea, I have taken it one step further for myself, so that I don’t forget to pray my prayer strategies against the enemy. I have put up small bulletin boards in my kitchen across from where I sit, in my bathroom near the face bowl, as I get ready in the mornings, and in my bedroom so that I see them upon rising. This has helped me to remember and to pray consistently. He (the enemy), is consistent in his war against me, therefore I must be consistent in my battle against him for myself, and those I love. May the face of God shine upon you and yours. I love the idea of bulletin boards. I have been meaning to get some myself. I need to get on that!! Love it!! Using your suggested categories . . thank you so much! !